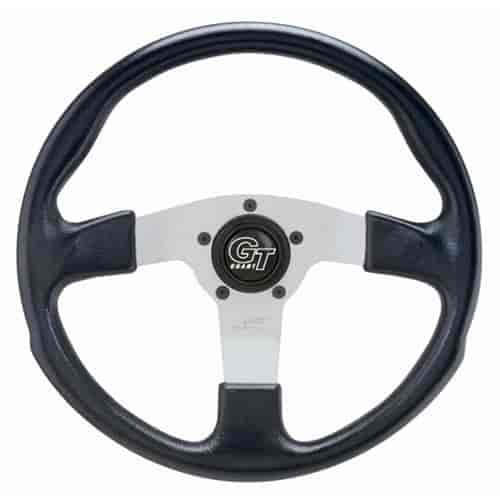 Grant GT Rally Steering Wheels are patterned after the most popular rally car look. Available in solid 3- or 4-spoke designs. Molded cushion grip is contoured to fit your hand with a leather-grained finish. The wheels have anodized aluminum alloy spokes and matte black rubber styling sleeves. 760 is rated 4.0 out of 5 by 1.